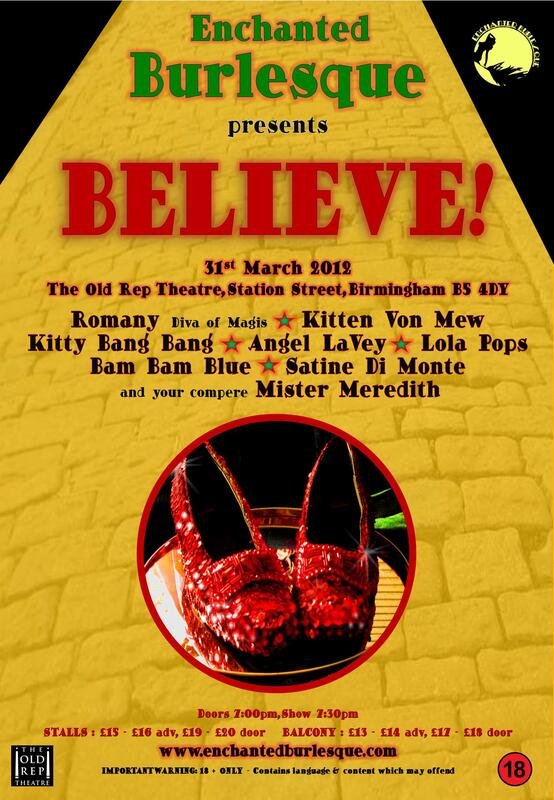 On 31st March I performed at Enchanted Burlesque at The Old Rep Theatre in Birmingham. The theatre itself is lovely and the staff are incredibly helpful. I was able to pick my lighting colours and sound check with ease! 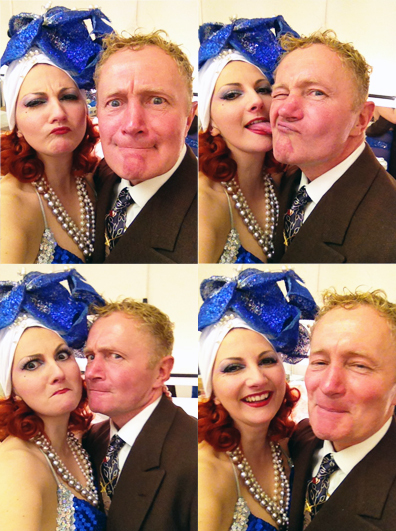 Mr. Mew and a stage hand helped me erect my giant birdcage and then I had a chance to meet up with Angel, James, Courtney Blush and Romany before getting ready. I had a super time and performed my Songbird act and Carmen Mewanda. The stage got a little slippy because of glitter, but these things happen when there is so much glamour in one building! I had a real giggle with Romany and her magic acts were hilarious. I also really enjoyed Satine Di Monte’s act, which featured her dance partner and silk fan veils. Absolutely stunning! 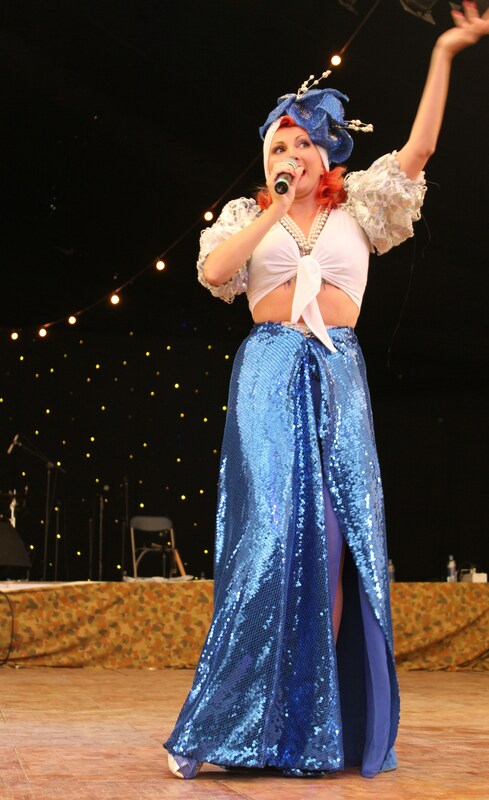 I missed Bam Bam Blue’s unicorn act, which was mortifying as I longed to see it, but hopefully the Enchanted Burlesque videos will be available on You Tube, so I can watch it then! Posted in Events and Performances and tagged angel lavey, burlesque acts, burlesque dancers, enchanted burlesque, kitten von mew, kitty meow, old rep theatre, romany magician, vintage girls, vintage pinups. Bookmark the permalink.